An engagement ring will be one of the most personal pieces of jewelry you’ll own - but how you do decide what kind of ring is the one for you? Do you want a classic style or something a bit more unique? One way to help you decide the best ring for you is to look at current trends and see if any of them reflect the ring of your dream. See the year’s top engagement ring trends below. White diamonds were always a classic choice, but now more and more people are embracing colored gemstones. Ruby reds and beautiful blues are particularly popular, while pink diamonds and other more unique colors look great on their own or combined with diamonds in their settings. Different color engagement rings have different meanings too, so if you’re looking for something with a more personal sentiment, you may want to give a colored ring a try. Rose gold Rose gold is really having its moment, and with many jewelry styles embracing the colour, it’s no wonder that there is a large selection of rose gold rings available. Rose gold is a pretty, stylish precious metal that offers something a bit different to the more traditional white and yellow gold styles, and looks great with many different settings. Why not try a delicate, floral style engagement ring as opposed to more traditional designs? Rings shaped in the style of a rose or adorned with petals are a beautiful and intricate ring style that will be sure to dazzle anyone who sees it. Pear cut diamonds are becoming more popular and are a delicate ring style that gives a more luxury appearance. Whether on their own or as part of a halo setting, they really make an impression and have a multi-faceted shine that will shimmer and sparkle. Marquise-shaped diamonds are also a popular choice for a more uniquely shaped cut for your ring. Finding it hard to decide between metals? Mix them. Engagement rings that have mixed metals are very striking and look beautiful with both diamonds and different colored stones. Mixed metal rings also offer you more flexibility when choosing your wedding band, or you can choose an engagement ring that has one metal, and a wedding band with another. 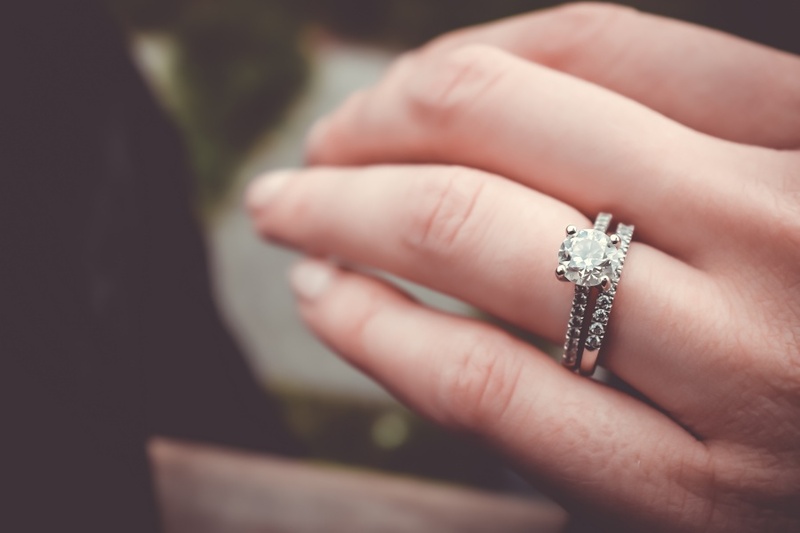 Eco-friendly engagement rings are a top choice if you’re someone who has strong feelings about how your ring was made or where it came from, you will be impressed with the ethics of eco-friendly ring companies. Read this Brilliant Earth review at YDG for more information about ethical diamonds. You may find your outlook on your jewelry has changed after researching ethical and eco-friendly diamonds. Hopefully, a look at the current engagement trends will have helped you choose the most suitable ring for you. There’s always the option to have your ring custom-made so that you can have the most unique ring possible to you. Whatever you choose, we’re sure your ring will be beautiful, and something that takes your breath away every time you look at it.